On Friday, 30th May 2014, in the Ipoh High Court, Justice Lee Swee Seng levelled a legal labyrinth of seemingly conflicting laws and competing jurisdictions and paved a clear path of justice and fairness for all Malaysians and their posterity. After more than a decade of legal tussles between converting spouses and non-converting spouses of civil marriages and their rights with respect to their children, the High Court makes a clear statement: All matters relating to the children of a civil marriage must be resolved under civil laws in the High Court. Converting spouses cannot circumvent that process by getting the Syariah court to make orders with respect to the children. And if they do, the High Court can declare those Syariah court orders null and void and of no effect. For a converting spouse who chooses to disregard a High Court custody order, you will be sent to prison for contempt of court! The full grounds of judgment, a 136 page tour-de-force, is a must read and is found here: Indira Gandhi Custody – Lee Swee Seng Judgment. Read also the summary landmark judgment delivered on 25 July 2013 here. Indira Gandhi and Patmanathan A/L Krishnan @ Muhammad Riduan bin Abdullah were married under civil law in April 1993 and had 3 children with the youngest being one Prasana Diksa (“the Youngest Girl”). On 31-3-2009, the husband forcibly took the Youngest Girl, then 11 months old, away from the mother without her consent. On 8-4-2009, the husband, after having converted himself and his children to Islam without the mother’s knowledge or consent, obtained an interim order from the Syariah court in Perak for custody over all the children. 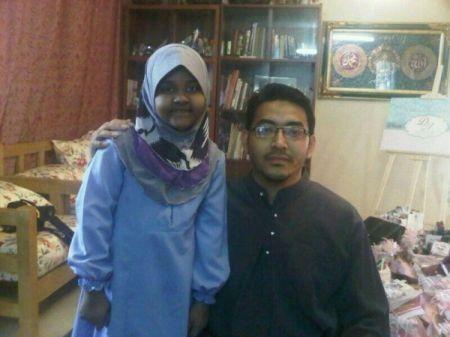 On 29-9-2009, the Syariah court granted him permanent custody over the children. On 11-3-2010, the Civil High Court, after hearing all parties, granted custody of the Youngest Girl to the mother and ordered for her delivery immediately. The Youngest Girl was never returned to the mother. On 25-7-2013, the High Court quashed the certificate of Islamic conversion with respect to the Youngest Girl. Details of that decision can be found here. On 18-10-2013, the mother applies to commit the husband to prison for refusing to deliver the Youngest Girl to her. On 5-12-2013, the husband files an affidavit contending that his Syariah court orders absolve him from obeying the Civil High Court order for custody. The Court heard both parties including a number of organisations invited as amicus curiae. Prasana Diksa with the contemnor’s counsel, Mr Anas Fauzi. The above picture was said to have been taken on 31st May 2014 in Kota Bharu, Kelantan. Whether a convert to Islam, who has obtained a custody order from the Syariah High Court with respect to a child from a Civil Marriage under the Law Reform (Marriage and Divorce) Act 1976, is absolved from obeying a Civil High Court custody order granted to the non-Muslim spouse? The Syariah court only has jurisdiction over Muslims and with respect to subject-matters within the personal laws of a Muslim especially in Islamic family law matters. It is an inferior court in legal parlance as its jurisdiction is limited under the various States Islamic enactments. The Syariah High Court had no jurisdiction to grant the custody order to the husband, though he is a Muslim, as the other party named in the proceeding before the Syariah court is a Hindu. The Islamic family enactment only applies to Muslims in Perak. Thus, the Syariah court only has jurisdiction over Muslim marriages and all ancillary matters. The Syariah court does not have jurisdiction over children of a civil marriage, who come under the exclusive jurisdiction of the Civil High Court. The husband’s Syariah court custody orders are null and void and of no effect. 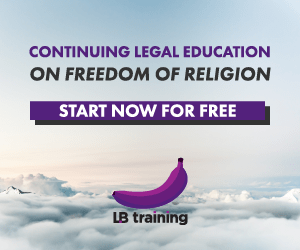 A Civil High Court, being a court constituted by the Federal Constitution, has supervisory powers over a Syariah court if the Syariah Court exceeds its jurisdiction and encroaches into the jurisdiction of the civil courts. Where a Syariah court has encroached into the exclusive jurisdiction of the Civil High Court, the Civil High Court must resist such an excursion. Article 121(1A) would only apply when the Syariah court acts within its jurisdiction and has not encroached into the jurisdiction of the Civil Courts. In this case, where the husband is relying on a Syariah court custody order given in excess of jurisdiction, that order can be challenged collaterally in this proceeding and it is open for the Civil Court to hold that such an order is null and void and of no effect. As the Civil High Court custody order is binding on the husband and the Syariah court custody order is null and void, the husband is in violation of the Civil High Court custody order. The husband cannot rely on the Syariah court custody order to absolve himself from complying with the Civil High Court custody order. The only sentence reserved by the law in the light of such a gross violation of a court order would be committal to prison until the contempt is purged by the delivery up of Prasana Diksa to her mother. However, the Court allowed the contemnor until Friday 6th June 2014 by 12 noon to deliver up Prasana Diksa to her mother at the office of her solicitors Messrs Kula & Associates, failing which the warrant for his arrest can be enforced. Further, a recovery order is made under the Child Act 2001 to compel the police to locate Prasana Diksa. “However one looks at the problem of custody whether with or without the change of one’s religion, the common ground must surely always be the welfare of the child. The maternal bond between a mother and child is irreplaceable. No legal system should deprive an infant child of a mother’s love or visit upon a mother the anguish and agony of such deep void, bereft of the warmth and wonder of the child of her womb. There was not the slightest hint of any blemish in her character or blush with respect to her morality that would disqualify her from custody of the child at her breast. Surely it cannot be on account of her remaining in the faith she was in, when he first married her. Both human decency and dignity would demand that the child be returned to the mother. As at 9th June 2014, the contemnor has failed to deliver Prasana Diksa to the mother. Member of Parliament M. Kulasegaran’s Twitter account details the meeting which took place in his office on 6th June 2014 between the contemnor’s lawyer and the mother. Prasana Diksa is still purportedly with the contemnor in Kota Bharu, Kelantan. Posted on 10 June 2014. You can follow any responses to this entry through the RSS 2.0. I never understood why people choose to be deprived of this right when they get in a divorce situation. They must understand that a child is not an object with you can play, it's just a innocent soul which must be respected and cared for an appropriate personal evolution.